Going on holiday can be very expensive. For starters, you need to find a great hotel where you can spend your break. And then you have to find a flight which will take you to your destination. The prices of flights are rising and it can be challenging to find a good deal. In fact, if you go on a weekend or a summer holiday, you can often struggle to get a cheap price. On top of this, you might have to spend money on a rental car. Therefore, you need to look out for some ways to save money where you can. One thing you can do if you want to make sure you don't splash the cash too much is to skip the baggage charge. If you take several bags, it can end up being quite expensive. Therefore, you should skip the luggage and just take a carry-on bag instead. ​Related: Can you carry food through airport security? Find out here! You are often allowed one carry-on bag included in the price of your flight. This means if you just take carry-on luggage you don't have to spend any more cash. It also means you don't have to drag around a ton of stuff on holiday. However, a lot of people don't understand how to pack a carry-on bag for 2 weeks. After all, you need to ensure you have enough stuff to last you a fortnight. 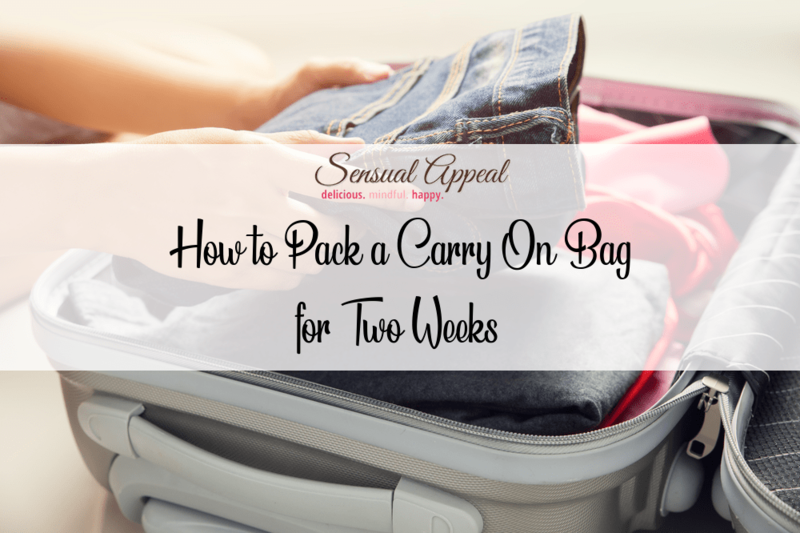 It can feel an impossible task if you do only have a small carry-on bag. Here are some essential tips you need. When you have a limited amount of room for your belongings, you need to consider carefully what you wear for the journey. If you opt to wear the heaviest items, you can save some precious room in your case. Therefore, anything like hoodies or jeans should be worn for the trip. These are heavy items that will take up lots of room in your case. They are essentials just in case you have poor weather while you are on holiday. Also, you want to wear bulky shoes on the plane such as boots or trainers. You would be surprised how much room shoes can take in the carry-on bag. In fact, a couple of pairs of shoes can leave you with no space at all for your other bits. You should layer up as well for the plane journey. That way, you can ensure you are wearing several pieces for the journey so they don't have to go in the case. For instance, you might want to wear a vest, a top and a jumper on the plane. You might want to wear several pairs of socks and a coat too. You can always take these off when you get on the plane. This will save room in your luggage. 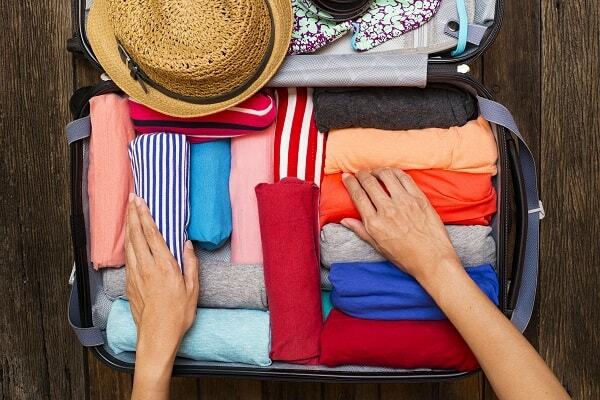 You need to be smart when it comes to clothes for your holiday. After all, it's so easy to pack a case full of lovely outfits. You can go a bit mad when it comes to picking out what you want to take with you, especially if you have gone vacation shopping. But you need to be careful as you are so limited to space. Therefore, you should take items with you which you can use to make several outfits. That way, you can still show off your style on your break without you having to take a ton of clothes on holiday with you. You should take a couple of vests which are great for creating outfits. You can use a vest with different skirts and trousers to create a whole new outfit. Also, it's worth going for a handy playsuit which you can dress up or down and can take you from day to night. Also, opt for a plain maxi dress in a black or red which you can change up with different accessories. If you go for bright jewelry one night and then dress it up the next night with killer heels, you can get away with wearing it more than once on your holiday. Check out these 4 travel tips to ensure your trip goes smoothly. Most people want to take their favorite toiletries on vacation with them. However, toiletries can take up a lot of room. They can be so bulky that you will struggle to fit other items in your carry-on bag. Also, you can't lay them down flat so you will struggle to fit them in your bag. Therefore, if you want to still enjoy using your favorite products, you should opt for smaller versions of them. This means they won't take up so much room in your case. By using small bottles, you can make sure your body and hair is still in tip-top condition. 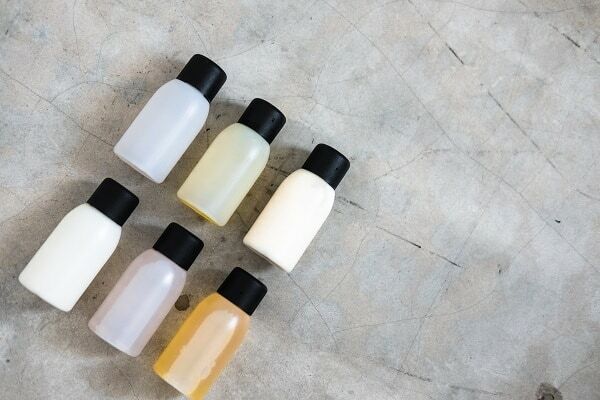 You can find small bottles of your favorite toiletries in stores, or you can even buy some little bottles and pour your essentials into them. If you are traveling with a partner or friend, share the same products. That way, you can save some space in your carry-on bags.